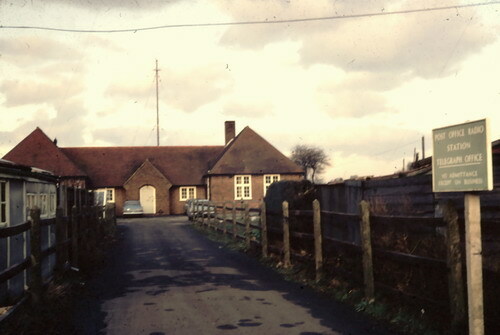 The BT Coastal Station North Foreland Radio closed in 1991. 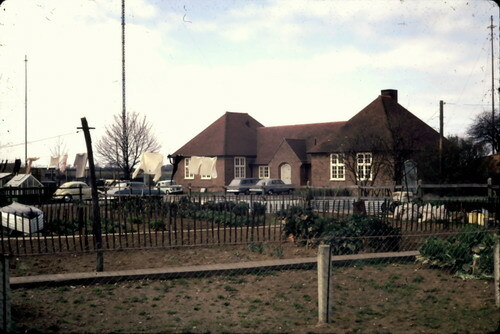 Unless otherwise stated the pictures are all © Tony Clarke G4EUL and should not be used elsewhere without permission. 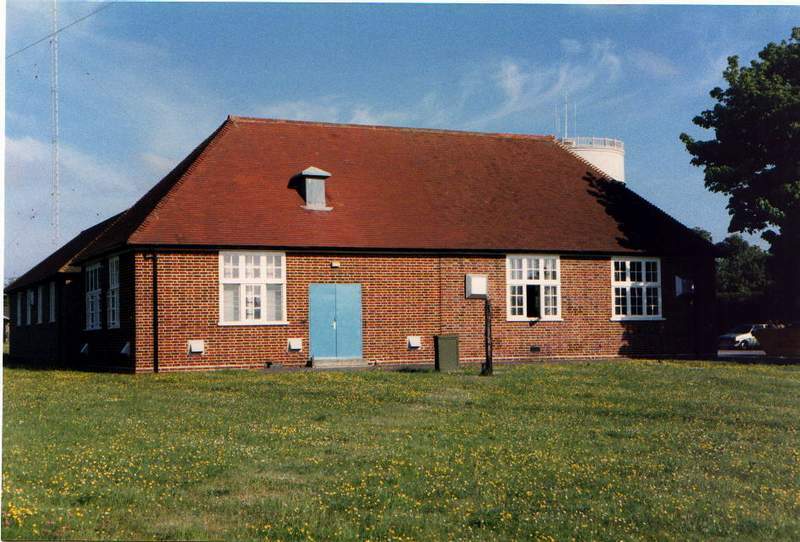 North Foreland Radio had 4 VHF stations under it's control. 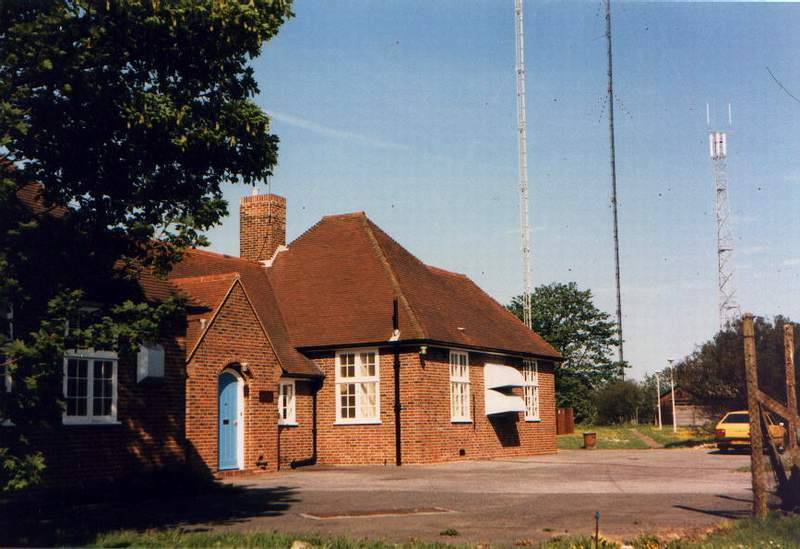 The one on site (North Foreland Radio), and the remotely controlled stations - one at Fairseat (Thames Radio), one at Orfordness in Suffolk (Orfordness Radio) and one at Fairlight (Hastings Radio). 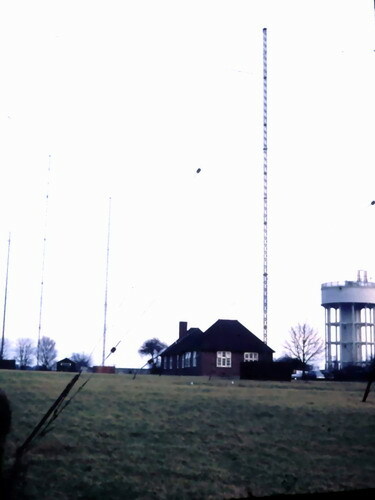 The MF receiving aerials were about a mile away near to North Foreland lighthouse, which was also the vicinity of the original station back in 1901. 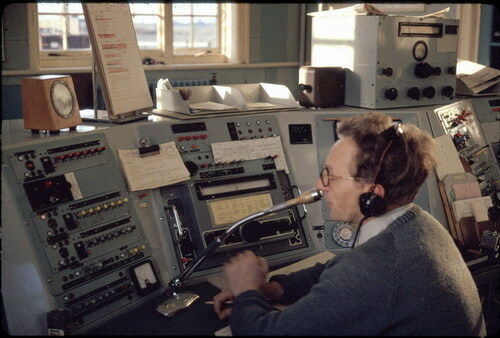 Main R/T operating position showing Mark Worvill maintaining 2182Khz distress watch also 1792 watch for british ships. Also all VHF controls. During busy periods this position only handled the distress watch and maybe one VHF channel. 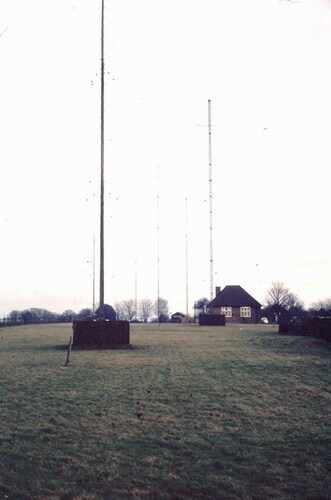 The other VHF and MF frequencies being handled on similar positions either side. At quiet times this position could handle everything if needed. 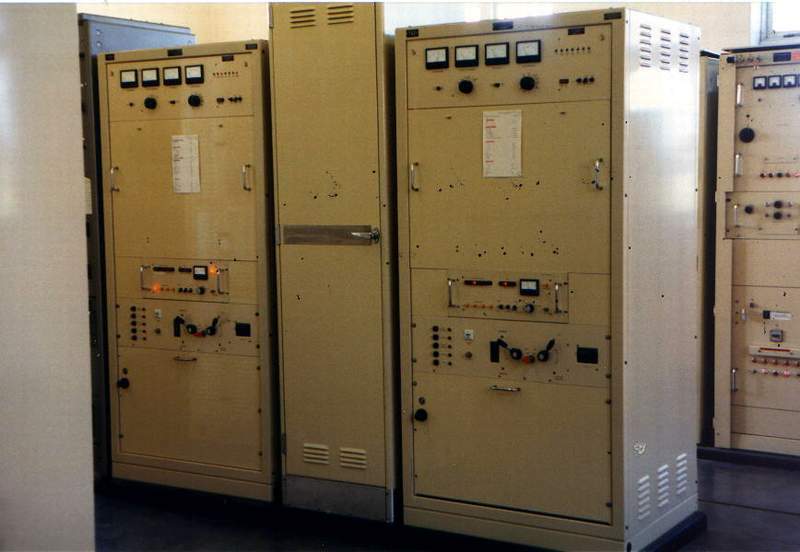 Three of the five Ajax medium frequency SSB transmitters including 2182Khz, and various working frequencies. 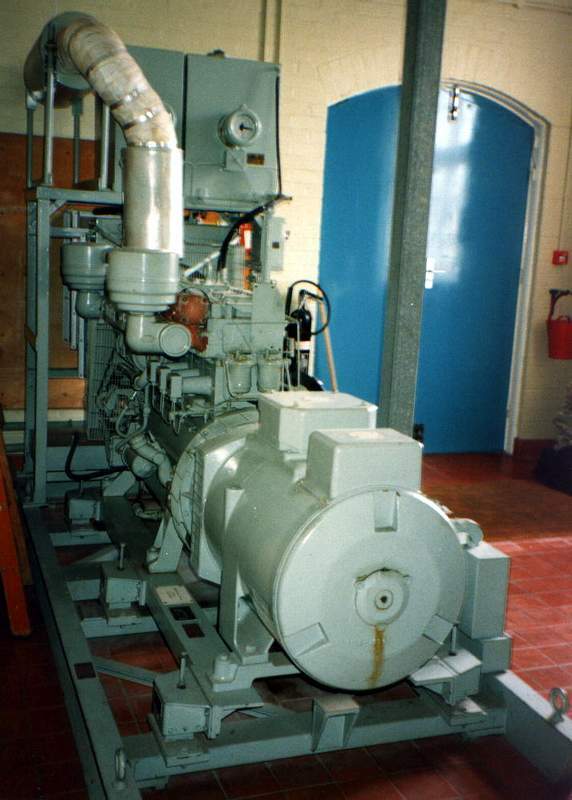 Side view of building showing rest room on right and emergency generator room on left. 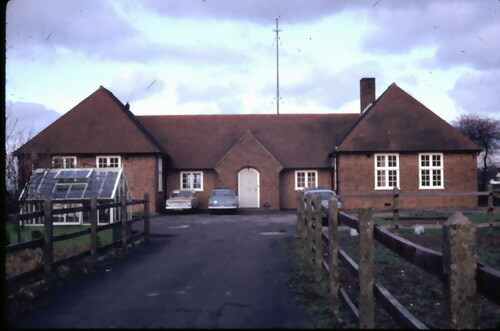 The other side of building showing operating room on right and transmitter hall on left. The Radio Officer on watch is Mr Jack Griffiths. He would have been covering 2182 (for distress and foreign ships calling), also 2381 (for British ships calling) VHF Channel 16 and Thames Radio VHF Ch16. The console on his right is where the ships would have been worked (9am till 5pm only). 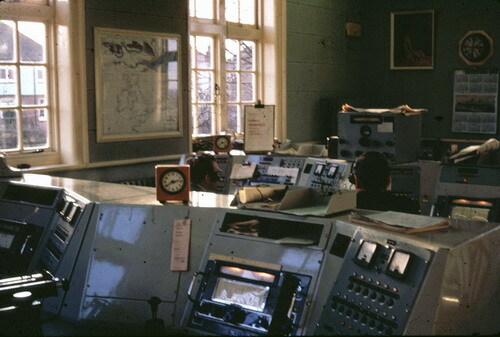 Outside those hours, one man sat at this position covering all R/T services, and it could be murderously busy - it was nothing to work three ships at the same time,- one on 1848,- another on 2698 - and yet another on VHF CH26 - maintaining watch on 2182 and CH16 - and jumping to another consol to give QRY's!!!. Note the fixed microphones which we all shared (along with colds and Flu!). The CR100 receiver on top of the consoles was used to listen to 2381. 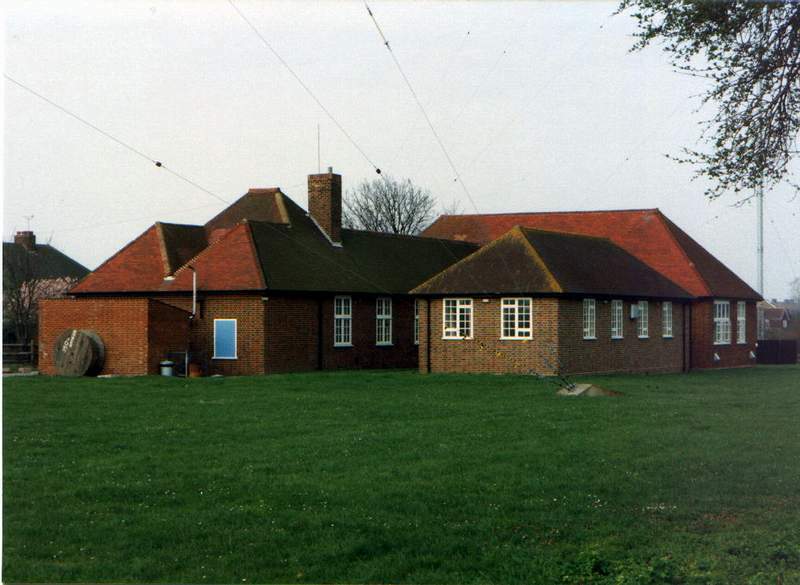 I've forgotten the name of the Marconi receivers we used - they had no HF and could only be used on MF. 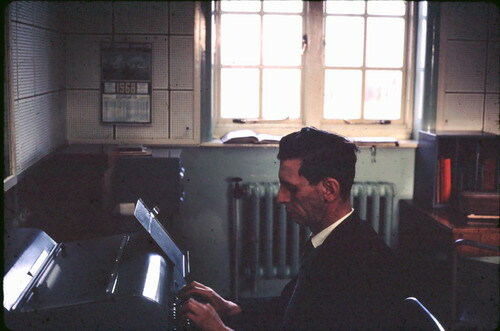 Radio Officer John Mcfarlane operating the telex in the land line room. 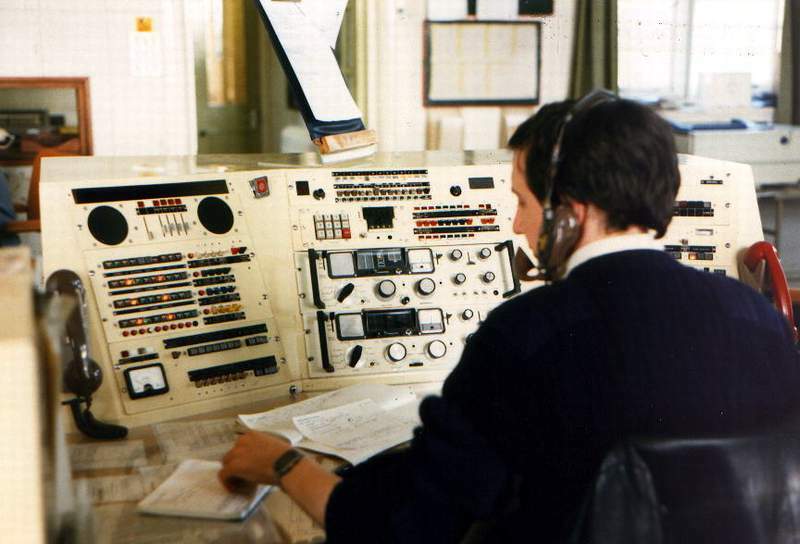 There was another TAS machine (similar to telex) to the left of the telex machine shown, which belonged to the GPO's own teleprinter network. Both machines were used for incoming and outgoing traffic. 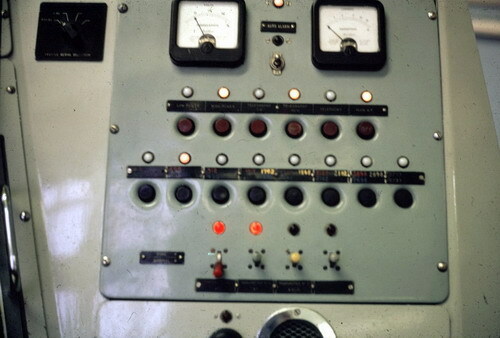 The transmitter controls on the main W/T console. 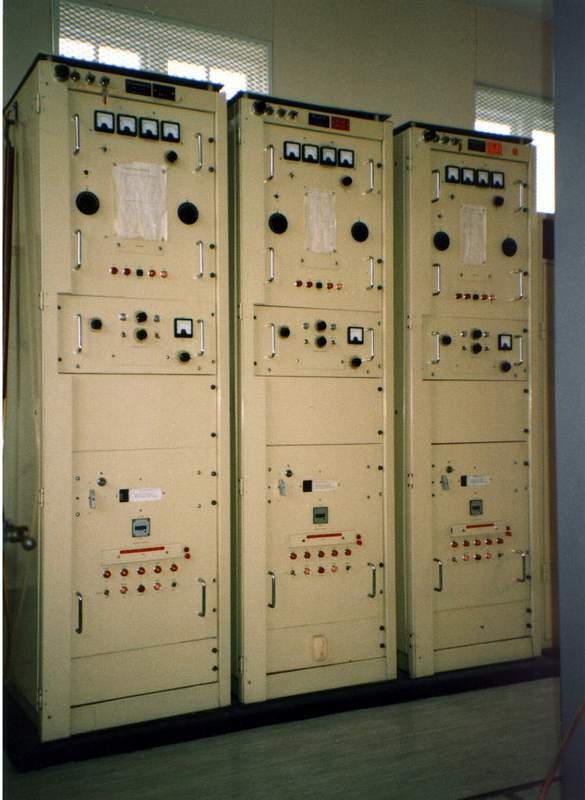 The Red transmitter is selected at that console, and the transmitter is set on 500 Kcs. To change frequency, only the relevant frequency button needed to be pressed. All four consoles in the operating room. The rear two consoles were used for W/T only, and the forward two were for R/T only. I guess that I was the W/T man when the picture was taken since W/T main console (nearest the camera) is unoccupied!.